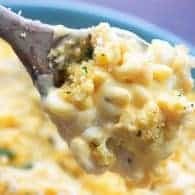 This mac and cheese casserole tastes like a million bucks – loaded with three types of cheese, it’s the most melty, gooey, creamy mac and cheese you’ll ever try. Big thanks to Roth Cheese for sponsoring this post. As always, all opinions are my opinion. Would you believe that the only mac and cheese we ate as a kid came from a box? I was probably an adult before I had REAL mac and cheese. This homemade baked mac and cheese is making up for lost time, though. You guys. You’re going to want to make this one. Just wait until you get a load of how cheesy and creamy it is! 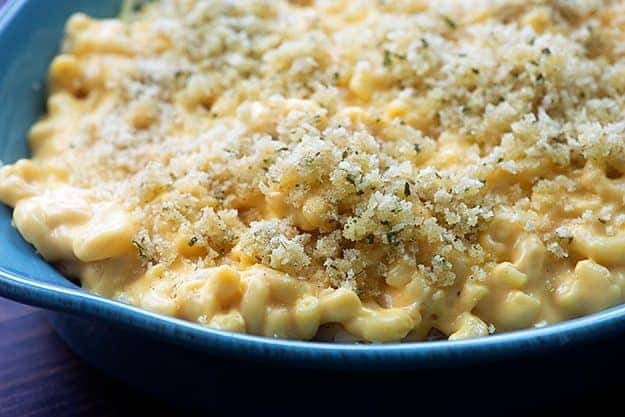 I’ve teamed up with Roth Cheese this Mother’s Day to bring you the creamiest, most indulgent baked mac and cheese ever. Because, mom deserves a reward and I vote that this reward involves cheese. Who’s with me? I mean, let’s be real. Mom works hard, all day every day. Mother’s Day is a chance to make her feel extra special and loved and what better way to do that than with award-winning cheese? 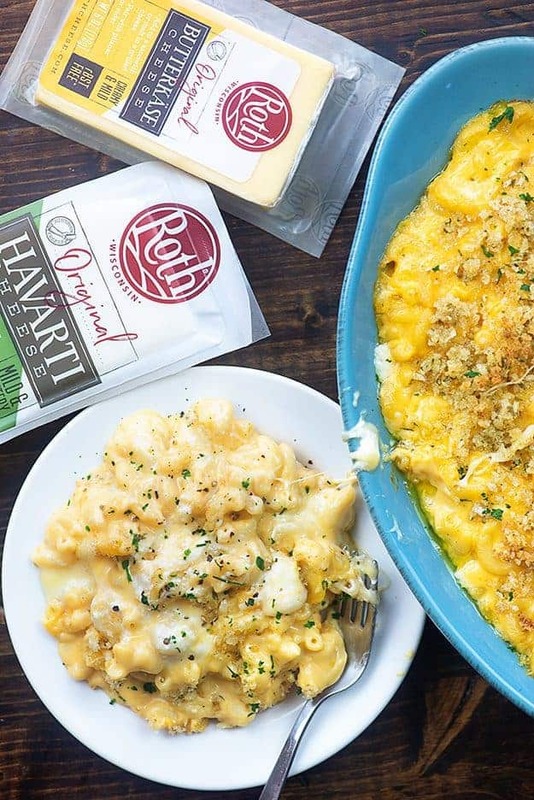 This mac and cheese recipe features Roth Prairie Sunset in the cheese sauce. Prairie Sunset is a delicious snacking cheese that melts beautifully. It can be described as a cheddar-gouda blend and it works perfectly in this homemade mac and cheese. There are layers of Roth Havarti and Butterkäse, both of which are mild, buttery, and melt like an absolute dream. Let’s start with the homemade cheese sauce. First, you’ll make a roux, which is just a fancy term for melting some butter in a saucepan and stirring in some flour until it’s all combined. 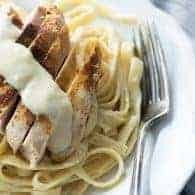 Then you’ll whisk in some milk and heavy cream to make a thick sauce. Remove that from the heat and stir in your grated Prairie Sunset cheese. The key to preventing a grainy cheese sauce is using a good quality cheese and removing the pan from the heat before adding the cheese. This is going to get so smooth and so creamy and you’re basically going to want to bathe in this homemade cheese sauce. 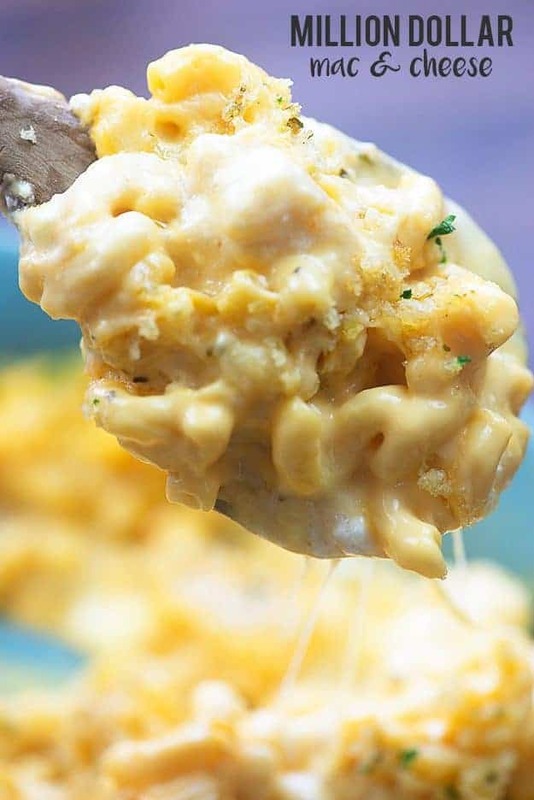 Stir your cooked macaroni into the cheese sauce and spoon half of that mixture into a buttered 2 quart baking dish. Here is the dish I used (affiliate link). Sprinkle on some grated Havarti. Dollop on some sour cream for extra goodness. This is a decadent mac and cheese. Don’t skip this step. Then you’ll sprinkle on some Butterkäse before spooning the rest of the mac and cheese over the top. 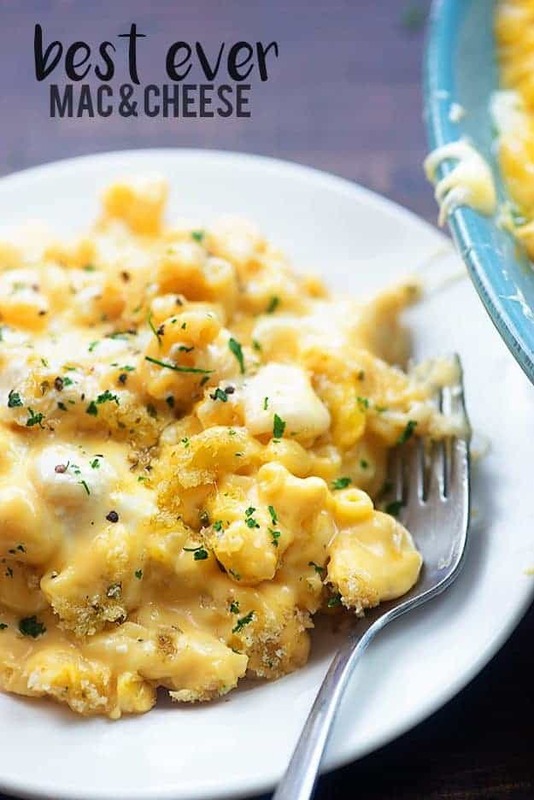 Since this is a baked mac and cheese, we’re going to top things off with a little Panko for some crunch. This bakes up in 30 minutes and when you pull it from the oven you’ll have the creamiest mac and cheese you’ve ever experienced. True story. I personally believe that not many macaroni and cheese recipes can hold up to reheating, but I’m here to tell you that this one reheats like a dream. It doesn’t dry out. It doesn’t get funky in texture. It just stays perfectly creamy and decadent. I reheat my macaroni and cheese in the microwave, because it’s easiest and it doesn’t dry things out. Place in a microwave safe bowl and heat in 1 minute increments, stirring every minute, until it’s heated through. 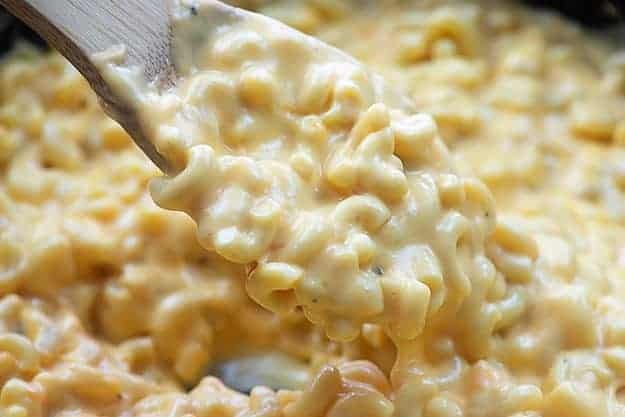 This is the best mac and cheese recipe, in my opinion! Serve this baked macaroni and cheese as a decadent main dish with a side salad – it’ll serve 3-4. Or, serve it as a side dish and you’ll get 8-10 servings. 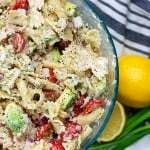 Add it to your Mother’s Day menu along with my turkey meatloaf, broccoli salad, and chocolate chip cookies. I’m curious to hear your opinion too! Give this a try, whether it’s to celebrate Mom this Mother’s Day or just for a special treat any night of the week. I want to know what you think! 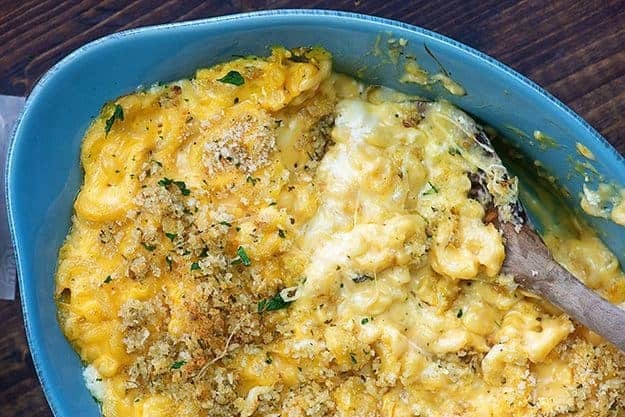 This creamy baked mac and cheese is the most decadent mac and cheese casserole you'll ever taste! 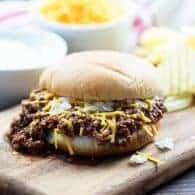 The cheese sauce is simple to make and it's layered with extra shredded cheese and sour cream. Bring a large pot of water to a rolling boil. Cook pasta for one minute less than package directions state. Drain. While macaroni is cooking, melt 3 tablespoons of butter in a medium sized pot and add the flour. Cook, whisking constantly, over low heat for 1 minute. Continue whisking and slowly pour in the milk and cream. Cook for another 2 minutes until thickened and smooth. Remove from the heat and stir in the grated Prairie Sunset, salt, and pepper. Continue stirring until smooth and creamy. Add the cooked macaroni to the cheese sauce and stir to coat. Pour melted butter into the bottom of a 2 quart baking dish. Spoon half of the macaroni and cheese over the top. Add a layer of grated Havarti and spread sour cream over the top. Top with a layer of grated Butterkäse. Spoon remaining macaroni and cheese over the top. Stir together the Panko, melted butter, garlic salt, and parsley to make the bread crumb topping. Sprinkle over the macaroni and cheese. 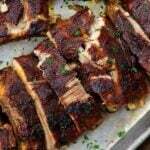 Bake for 25 minutes or until the sauce is bubbly and the top is browned. DROOLING! This looks so so good!!! Is there a substitute for the brand of cheese. No store sells it where I live. 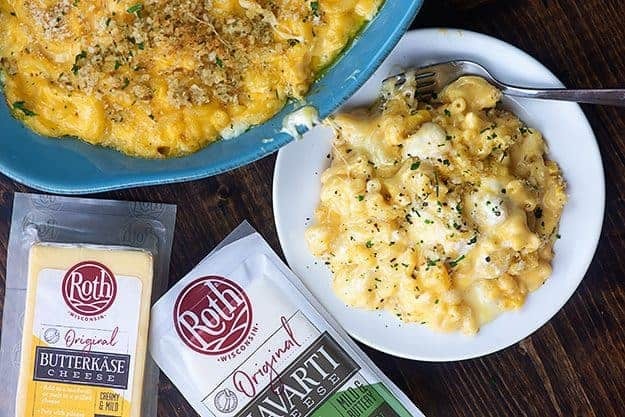 If I can’t find these Roth cheeses in a grocery store around me, which I’m struggling so far, what would be the best substitute cheeses to use? If you can’t find Roth, use a good quality cheddar to replace the Prairie Sunset. The havarti should be easy to find. Butterkase can be replaced with fontina, if you can’t find any. I can buy the havarti, but not the other cheese. Any suggestions for a substitute? what is prairie sunset cheese? and, is there a substitute? If you can’t find Prairie Sunset, I would use a mild cheddar. OMG! OMG! This mac and cheese is probably one of the best I’ve ever seen!! I have to agree that nothing beats homemade mac and cheese! especially one like this! Thank you!! Hope you give it a try! I was also almost an adult before I had real mac n’ cheese, too! Now we have to make up for it by eating even more of it haha Mac n’ cheese is my favorite and this version looks AMAZING! 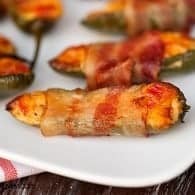 Made it – my family LOVED it… question though – what’s your thoughts on making this in a crock pot? If so how long do you think & at what heat level?